Prior to joining CMC, Mr. Adamson worked with the Southern Research Institute’s environment and energy team, resulting in the Carbon to Liquids Development Center in Durham, N.C. hosting pilot-scale waste- and biomass-to-liquid (hydrocarbons) technologies. He has founded or worked with small and multinational technology companies ranging from lab, environmental remote sensing, and industrial process control instruments through to starting up a micro-turbine combined heat and power distributed micro-utility. Lynne Allan (CPA-CGA) is the Dean of the MacPhail School of Energy at SAIT. She is an energy industry veteran who has held senior management positions for 20 years, including Vice President of Supply Chain Operations and Vice President Information Services. At Suncor, she held functional roles that supported oil sands, conventional oil and natural gas and offshore exploration and production. She also worked in refining and retail at the beginning of her career with Suncor. Lynne has held functional and strategic executive roles that utilized communications, leadership and change management skills. She has a strong understanding of the stakeholder consultation requirements and fiscal realities facing the industry. SAIT was established in 1916 and completed its largest campus expansion in 2012. The $400 million Trades and Technology Complex added 740,000 square feet of state-of-the-art learning space. SAIT provides expertise and resources to industry and real-world learning experiences to students. SAIT is a member of Polytechnics Canada. The Asia Pacific Foundation of Canada (APF Canada) is a not-for-profit organization focused on Canada’s relations with Asia. Its mission is to be Canada’s catalyst for engagement with Asia and Asia’s bridge to Canada. It does this by partnering with both the private and public sector. A leader in research and analysis on Canada-Asia relations for over thirty years, APF Canada has developed strong ties with policy-makers, business leaders, academics, and opinion makers in Canada and throughout the Asia Pacific region. Carol-Ann Brown is based in Calgary and leads Delphi Group’s technology service team for Western Canada, working with the oil and gas sector, utilities, the public sector and clean technology companies on accelerating the development of technology solutions, strategic planning, technology road mapping, technology and market scenarios, and accessing funding. Carol-Ann brings 15 years of experience in clean energy and environmental technology development and commercialization. Her international and multi-disciplinary experience focuses on the environment/energy nexus, encompassing a broad range of issues including emissions trading, policy analysis and formulation, and program development; and environmental technology assessment, development and commercialization. Dr. Brown has a PhD in Geography and a Master of Science in Environmental Change & Management from the University of Oxford. Carol-Ann was formerly the Director of Offsets Development and Industry Relations for Climate Change Central, and a Policy Advisor in the Air Quality and Climate Change Branch of the Ontario Ministry of the Environment. Rob Burton is a Cognitive Solutions specialist in the IBM Natural Resources Solution Centre in Calgary, Alberta. He is a seasoned professional with over 25 years experience in the technology industry. His acute business acumen has evolved his career in to one of the leading local business analysts for government, transportation, mining, and the oil and gas sector. Complex problem solving through analytics has been a passion of Rob’s for the past 16 years in the Calgary market and as a result, has brought him to the IBM team to nurture, explore, and develop the massive potential of cognitive computing powered by IBM Watson for the Canadian Natural Resources industry. Rob’s technical aptitude and technology background is allowing him to lead groundbreaking first-of-a-kind work with IBM Watson in some of the largest natural resources corporations in Canada carving out his space in IBM as the global go-to resource for everything IBM Watson. IBM Global Services, a division of IBM, is the world’s largest business and technology services provider. It employs over 190,000 people across more than 160 countries. IBM Global Services started in the spring of 1991, with the aim of helping companies manage their IT operations and resources. Reinier Deurwaarder is a partner in KPMG’s Calgary Audit practice, where he is involved in audits of financial statements and internal control over financial reporting. He is a key member of the Accounting Advisory team where he assists clients in resolving financial reporting related issues, including complex accounting questions, adoption of new standards, GAAP conversions, sustainability reporting and designing and testing internal control over financial reporting. Reinier has been with KPMG for over 20 years, working in the Netherlands, Australia and Canada. He has worked with a great variety of clients, both public and private, in many different industries, but the Energy and Natural Resource and Technology sectors are a common theme. KPMG is a leader in providing audit, tax and advisory services in Canada and globally. Its Sustainability Services practice helps organizations understand and integrate the principles of achieving sustained business performance and build credibility by engaging and communicating with stakeholders. Bruce Edgelow has over 44 years of banking experience with a focus on lending to the oil and gas industry. For the past 12 years, he was responsible for helping to build ATB Financial’s Energy business and capabilities. His team consisted of industry specialists in all aspects of the energy industry, including: drilling and service, pipelines, utilities, midstream, exploration and production and alternative energy. Bruce now heads ATB’s Turnaround Assistance Group within CFS. He is a Fellow of the Institute of Canadian Bankers, has attained the ICD.D designation, and is a very active participant in community and church activities. He serves as a Director for Calgary Health Trust and is co-chair of Peter Lougheed Centre Development Council. Bruce has been a speaker at numerous oil and gas industry seminars on finance. ATB Corporate Financial Services, a division of ATB Financial, is a full service financial institution serving the needs of mid- and senior-market businesses with operations in the province of Alberta. It offers a wide range of business solutions from credit, deposit, cash management, financial markets, syndications and newly formed advisory services group. It is focused on the sectors that drive Alberta’s economy such as energy, real estate, construction and food & forestry. Kym Fawcett is the Manager of Safety and Social Responsibility at Enerplus Corporation where she provides leadership and oversees activities pertaining to health, safety, environment, sustainability (HSE&SD) and regulatory compliance. At Enerplus, she guided the development of a S&SR Management System, Policy and standards; EHS performance metrics; behavioral based safety, Owning Zero and safety recognition programs; S&SR education and communication initiatives; and the Corporation’s first Sustainability Report. Kym has over 25 years’ experience in environment, sustainability, health and safety, regulatory compliance/permitting, and stakeholder engagement/Indigenous affairs. She began her career as an environmental consultant in 1991 with Golder Associates, focusing on environmental impact assessments, environmental management, and regulatory permitting for a variety of natural resource sectors. She transitioned to industry in 2006 and has held previous leadership roles at Golder Associates and ConocoPhillips. Kym is a member of the NAEM Board of Directors and a member of the Board of the Canadian Heavy Oil Association (CHOA). Established in 1986, Enerplus is a responsible developer of high quality crude oil and natural gas assets in Canada and the United States, focused on providing both growth and income to its shareholders. Enerplus Corporation trades on both the Toronto Stock Exchange and the New York Stock Exchange. Jackson is the President at Modern West Advisory, a private consulting firm working with industry, government, and technology providers to build effective carbon mitigation strategies. He is also the Executive Director of the Methane Emissions Leadership Alliance – an industry group comprised of methane reduction technologies and solution providers from across North America. Prior to Modern West, Jackson spent 9 years at ARC Resources Ltd. building the company’s sustainability and carbon management portfolio. Jackson graduated in 1999 from Princeton University with a degree in Environmental Economics. He is a former Board member with Connecting Environmental Professionals in Calgary. Brett Henkel’s unabashed optimism tempered by his mechanical engineering background and gas separation experience combine to bring a rare perspective to his position on Inventys’ executive team and board. Transferring the company’s breakthrough CO₂ capture technology to the field will rely heavily on Brett’s strengths for identifying and understanding the technical details and relating those details to partners’ teams, approving agencies, and stakeholders. As co-founder, he was instrumental in creating the process and the hardware used to prove the technology’s effectiveness as well as mobilizing external support throughout the path to becoming a successful innovation. These experiences strengthened his knowledge of business development and program management priorities. Prior to launching Inventys, Mr. Henkel was the program manager for QuestAir Technologies’ compact hydrogen production system with its partner, ExxonMobil. He is credited with designing the world’s first solenoid-driven rapid pressure swing adsorption test station. Brett received his Bachelor of Science in Physics, with distinction, and a Mechanical Engineering degree from the University of Victoria. Inventys solves complicated gas separation challenges―like liberating CO₂ from flue gas. Unlike conventional methods that use solvents, its VeloxoTherm™ process combines a proprietary adsorbent structure with a rapid thermal swing adsorption process. This is not a chemical plant. The VeloxoTherm System offers many advantages including compact equipment, low regeneration energy, and scale-up confidence. This transformational approach will dramatically change the economics of CO₂ capture with its lower capital costs and its stability. Sander Jansen is a Manager with KPMG’s Sustainability group in Calgary with over 8 years of experience, helping companies advance their sustainability strategies and disclosures. He has worked for Dow Jones Sustainability Index leaders around the world, worked for KPMG Sustainability practices in The Netherlands, Australia and Canada, and is currently engaged in a number of assurance and advisory engagements in the oil & gas industry. In 2012 he was awarded a position in the highly competitive year-long global Future Leaders Team (World Business Council for Sustainable Development), a young-professional think-tank aimed at shaping the future of non-financial reporting and management. Sander is an invited speaker to various conferences in Canada and Europe and is co-author of several publications on carbon disclosure and sustainable cities. Steven Koles has over 20 years of operational and executive experience in technology companies. He has been involved as an executive and corporate director with such organizations as Steeper Energy, Qwick Media, Route 1, Aksys Networks and the Canadian Association of Internet Providers (CAIP). From 2006 to 2012, Mr. Koles was President and CEO of Hemisphere GPS where he lead the company through a transformation and rebranding exercise highlighted by the divestiture of two unprofitable businesses, international expansion, two key acquisitions, two public financings, and a restructuring of manufacturing operations. Under his leadership, Hemisphere GPS achieved numerous awards including the Deloitte Green 15, Alberta Venture Fast 50, ASTech Outstanding Commercial Achievement in Science and Technology, and Branham’s Top 300 Canadian ICT companies. Steven has also served in management positions with AOL / Time Warner Canada, Group Telecom, and TELUS Corporation. Steven is a graduate from the Faculty of Business at the University of Alberta, and the Executive Management Program at the University of Western Ontario’s Richard Ivey School of Business. Hifi Engineering provides the most advanced and reliable distributed dynamic sensing system in the world. It builds world-class fiber optic sensing and monitoring technology for wellbores, pipelines and critical infrastructure which provide energy companies full confidence in the performance and safety of their oil and gas assets. Brent Lakeman works to foster partnerships between advanced technology enterprises and Alberta’s research and innovation system to drive growth of the knowledge economy, attract investments and accelerate diversification. His team works to ensure a system-wide focus to transform Alberta’s Information and Communication Technology, Life Sciences and Emerging Technology Industry sectors into world-class industries that broaden and enhance Alberta’s next generation technology. Prior to joining Economic Development and Trade, Brent led Alberta Innovates Technology Futures (AITF) Environment Sector activities, working to ensure that the province’s investments in basic research, applied research and commercialization are aligned with Alberta’s environmental priorities. Brent has over 26 years of experience working on Alberta’s technology, energy and environment priorities. Gordon Lambert retired from Suncor Energy on January 1, 2015. He is currently the Suncor Sustainability Executive in Residence at the Ivey School of Business and has established GRL Collaboration for Sustainability as a consulting practice. He is an advisor and frequent speaker on energy, the environment and innovation. He was instrumental in the creation of Canada’s Oil Sands Innovation Alliance (COSIA) and in 2014, was a speaker on Innovation and Collaboration at the World Economic Forum in Tianjin China. In 2015/16 he has been a member of the WEF Global Council consisting of 1200 people globally who help shape the future agenda of the organization including its work on the Future of Oil and Gas. With Suncor Energy Gord served as the VP Sustainability and in 2013, he was appointed Executive Advisor Sustainability and Innovation where he supported the CEO, senior executive team and the Board of Directors. He has 36 years experience in the energy sector including 17 years with Suncor, two years with TransAlta and 15 years with Imperial Oil. He was a recent member of the Alberta Climate Leadership Advisory Panel to the Environment Minister and the Premier. Alberta Innovates is a provincially-funded corporation tasked with delivering on the research and innovation priorities of the Government of Alberta. Alberta is blessed with abundant natural resources, world-class infrastructure and research institutions, a highly skilled workforce, and a dynamic, entrepreneurial business community. Alberta Innovates harnesses these strengths by acting as the catalyst between government, industry and academia, to solve some of the biggest challenges facing the province. Keep Albertans healthy through the advancement of medical knowledge, treatment and best clinical practice. Alberta Innovates focuses on the full research and innovation continuum – taking ideas from the lab to the marketplace, or from bench to bedside. Caroline Ong is the Canadian Big Data & Analytics Leader for IBM Global Business Services. She leads a team of sales and delivery practitioners in the area of Advanced Analytics, Technology & Data, Finance Risk and Fraud, Reporting, Data Strategy & Governance. Most recently, she has also been assigned to lead the strategic area of Cognitive Solutions for IBM GBS that includes the Watson delivery team and technologies. Her previous role was Lead Account Partner for a major telecommunications provider in Canada focused on consulting and implementation services. 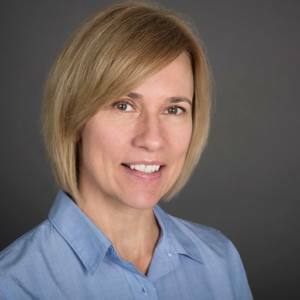 Carol is also a senior business consultant experienced in the Digital Front Office domain with over 20 years of implementation in CRM (Salesforce.com & Siebel), Network and Customer Analytics, Billing and ERP systems and projects focused on sales & marketing, finance, production and supply chain management. Carol has received multiple IBM Service Excellence and Sales Eminence awards and a Leadership award. Prior to joining IBM in 2002 as part of the PwC acquisition, she was a Managing Consultant and Consulting Director for PwC’s SAP Finance and Cost Accounting practice. Throughout his career, David Ower has successfully led businesses through challenging and uncertain environments. From startups, organizational mergers, through to expanding into new countries and markets, he has had to develop an agile culture within the organization in order to be able to rapidly adapt to the opportunity and circumstances. Mr. Ower is currently the Dean of the School of Business at SAIT, overseeing 4000 students in credit programs, and an additional 10,000 annually attending professional and leadership programs. He works with a variety of businesses across North America in the areas of strategy and innovation, as well as First Nations assisting with economic development and investment. Mr. Ower holds a Bachelor of Science, Bachelor of Economics, and Bachelor of Laws, as well as a Masters in International Business Law. The Southern Alberta Institute of Technology (SAIT) is a leader in applied education, delivering relevant, skill-oriented education to more than 50,000 people annually. SAIT offers two baccalaureate degrees, three applied degrees, more than 70 diploma and certificate programs, 37 apprenticeship trades, English language foundations, academic upgrading and over 1,000 continuing education and corporate training courses. SAIT works closely with industry to ensure graduate success. The class of 2015 had an 86% employment rate. SAIT was established in 1916 and completed its largest campus expansion in 2012. The $400 million Trades and Technology Complex added 740,000 square feet of state-of-the-art learning space. SAIT provides expertise and resources to industry and real-world learning experiences to students. SAIT is a member of Polytechnics Canada. Todd Parker began Blue Spark Energy in 2011 and continues to serve as the CEO and President. Prior to that, he was the Canadian Vice President for Weatherford International – an oilfield service company whose products and services span the lifetime of an oil or gas well. Beginning his career in 1991, Todd has since lived and worked across Canada, the USA, Latin America and the Caribbean. With a keen interest in technology and challenging the status quo, he continues to find ways to innovate, create and communicate. Blue Spark Energy (Blue Spark) is a private oil and gas services company that specializes in enhanced oil recovery techniques using proprietary high pulse power technology. Since the company was established in 2011, its internationally patented WASP® technology has a greener footprint than other commonly used oil recovery techniques, and has been used in over 400 oil wells by more than 25 companies around the world. Thanks to equipment that is very mobile, the company is able to operate not only across Canada, but globally with only 25 staff. In Canada, Blue Spark has worked in the provinces of Newfoundland, Manitoba, Saskatchewan, Alberta, and British Columbia. The company has also operated in the United States, Romania, Norway, Denmark and Kuwait. It has received numerous prestigious safety and technology awards. Marty Reed spent the last 5 years as a Partner with The Roda Group, an early stage venture capital firm focused on clean technology. Having served in operating roles at multiple Roda Group portfolio companies, he joined the firm in 2010. Over the last few years Marty has served on the Boards on numerous cleantech ventures. Most recently Marty served as Chairman of the Board of Directors of mOasis, the creator of a soil amendment product that allows farmers to increase crop yields while reducing water and fertilizer applications. He also served on the Board of Directors of Inventys, the developer of a low-cost method for capturing carbon dioxide from industrial sources, Gridtential, the developer of high-performance, low-cost energy storage systems and Axine, the creator of a low-cost, chemical free solution for treating toxic wastewater. Prior to joining The Roda Group, Marty was the CEO of Cardstore.com, a Roda Group portfolio company. Under his leadership, Cardstore grew to become a leading online retailer of greeting cards. The company was acquired by American Greetings in December of 2010. Marty has held senior management positions at Roda Group companies, CoolSystems and Ask Jeeves (now Ask.com). At CoolSystems, he launched Game Ready, a top brand in orthopedic rehabilitation, growing the company from start-up to $20M in annual revenues. With Ask Jeeves, he helped the company navigate through an IPO and the dot-com bubble bust to emerge as a profitable enterprise, ultimately acquired by IAC in 2005 for $1.85 billion. Marty is a Director with the Alliance of Chief Executives, the largest organization for CEOs in Northern California. In that capacity he mentors a group of CEOs in the Bay Area. He also serves on the Board of Directors and Executive Committee for Save Mount Diablo, an organization whose mission is to preserve, defend and restore the vast unprotected lands on Mount Diablo. As a Masters of Business Administration student at John F. Kennedy University’s School of Management, Marty received the Avice M. Saint Award for Leadership. Marty received his Bachelor of Science in Mathematics from Carnegie Mellon University. In 2013, he was presented with the Entrepreneur of the Year award by the Institute of Entrepreneurial Leadership. He began his career as a Lieutenant in the United States Navy, serving as the Supply Officer on the USS Elrod. Evok Innovations is a unique partnership between the BC Cleantech CEO Alliance and two Canadian energy companies, Cenovus Energy and Suncor Energy. It is a cleantech fund that accelerates the development and commercialization of solutions to the most pressing environmental and economic challenges facing the oil and gas sector today. It protects the environment and strengthen the economy by investing in the commercialization of clean technology. Evok is an independent, entrepreneur-led fund that offers mentorship and customer access for early-stage clean technology companies while accelerating the development and commercialization of breakthrough solutions for strategic partners. It offers entrepreneurs access to major customers, subject matter experts, and opportunities to pilot and demonstrate innovative technologies. Evok is uniquely positioned to drive the commercialization of clean technologies and the large-scale adoption of solutions to the most critical economic and environmental challenges of the oil and gas industry. Don Romano is President and Chief Executive Officer of Hyundai Auto Canada Corp. He joined Hyundai in December 2013. In addition to overseeing the company’s record setting sales performance over the past three years, Don has been busy with the development and launch of the new and controversial luxury car brand Genesis. Genesis represents an entirely new, unique retail model which allows customers to buy a Genesis, hassle free, online direct from the manufacturer. Don was also instrumental in launching the first fuel cell vehicle for retail sale in Canada. Don holds a Bachelor of Science in Business Administration from California State University, Long Beach and an M.B.A. from Pepperdine University. When he’s not working, he’s skiing, surfing or swimming. He is a competitive long distance swimmer and an Ontario Masters Swimming gold medalist. He lives in Stouffville, Ontario with his wife of 24 years and four children. With a career spanning more than 30 years, Joy Romero has worked in iron ore, coal and oil sands both operating and consulting. Joy is currently the Vice President Technology & Innovation at Canadian Natural Resources Limited. After graduating from the Technical University of Nova Scotia in 1979 with a B.Eng. in Metallurgical Engineering with Distinction, Joy worked at Wabush Mines in Labrador for several years before taking a six year leave to be with her young children. She returned first part time and then full time to engineering in British Columbia’s coal rich Elk Valley with TECK Corporation. In 1997, she moved from coal to oil sands joining SNC-Lavalin to be a part of the team that built the Suncor Millennium project. In 2001, Joy joined Canadian Natural to steward the development, commissioning and operation of Bitumen Production within the Horizon Oil Sands Project. Joy also holds an MBA in Project Management with a specialization in energy from Athabasca University. In October 2009, she completed a term as Chair of the Governing Council of Athabasca University. She has advised for the NSERC chair for Oil Sands at the University of Alberta, the NSERC Chair for Energy and Imaging at the University of Calgary, was the chair of the Canadian Oilsands Network for Research and Development (CONRAD) Bitumen Production Focus Group and is past Chair of CONRAD overall. Joy is a member of the Shareholder Steering Committee and Chair for the Board and HR Committee of Canada’s Oil Sands Innovation Alliance (COSIA) and a Board member of PTAC. In April of 2014, Joy was appointed as a member of Government of Canada’s Science, Technology and Innovation Council (STIC) and in January of 2105, she became a Director of Wavefront Technologies. Canadian Natural Resources Ltd. is one of the largest independent crude oil and natural gas producers in the world. The company continually targets cost effective alternatives to develop its portfolio of projects across a diversified combination of assets in North America, the North Sea and Offshore Africa, which enables it to generate significant value, even in challenging economic environments. Its balanced mix of natural gas, light crude oil, heavy crude oil, bitumen and synthetic crude oil (“SCO”) represents one of the strongest and most diverse asset portfolios of any energy producer in the world. Dr Cecile Siewe is Director General for CanmetEnergy – Devon, at Natural Resources Canada. The laboratory is responsible for fossil fuels research and technology development to make the oil sands and heavy oil production a cleaner energy option for Canada. Prior to her current role, Dr Siewe spent more than 10 years with Shell Canada in R&D, manufacturing, and supply chain roles. She holds a PhD in chemical engineering from Imperial College London, and an MBA from the University of Calgary. Dr. Mark Summers serves as Director, Projects for Emissions Reduction Alberta (ERA). He leads the evaluation of project proposals and is as part of the ERA senior management team. Mark’s background includes renewable energy, climate policy development and stakeholder relations. Mark graduated from the University of Alberta with a BSc in Engineering Physics and a PhD in nanostructured engineering and nano-systems. Emissions Reduction Alberta (ERA) has evolved from Alberta’s Climate Change and Emissions Management (CCEMC) Corporation. It works collaboratively with government, industry and the innovation community to secure a lower carbon future for Alberta. Alberta’s policy direction shapes its portfolio and it focuses its efforts on areas where ERA will have the greatest impact. ERA nurtures innovation through ongoing collaboration with technology developers, Large Final Emitters and government. It actively engages with industry and other organizations to identify opportunities to accelerate the technologies that Alberta needs to secure its success in a lower carbon future. Matt Toohey leads sustainability initiatives, strategy and reporting at TransAlta Corporation in the role of Sustainability Advisor. TransAlta is a global power generation company with operations across North America and Australia. Previous work experience within the energy sector includes corporate communications and investor relations at ARC Resources and consulting (energy management, low-carbon energy solutions and sustainability) for Solas Energy Consulting. Matt holds an MSc. in Renewable Energy and Enterprise Management from Newcastle University in the UK. He sits on the board of CEP Calgary and holds an officer role at Speak Easy Toastmasters. TransAlta began as a small, local power company in 1909 and has transformed over the last century to become an experienced and well respected power generator and wholesale marketer of electricity. The company generates approximately $3 billion in annual revenue, and has more than $9 billion in assets, and power plants in Canada, the United States and Australia. Suzanne West is going to change the world. And she’s going to do it by getting other people to change the world with her. Imaginea is her latest venture and one of five companies that, over the past 15 years, she has successfully built from scratch. She spent her early days receiving an engineering degree from the University of Calgary, then spent the first 11 years of her career as a reservoir engineer and in various leadership positions in large corporations. It doesn’t end there ‐ she has also been a fitness instructor for 21 years and participates in philanthropic projects that are very near to her heart; those that involve children, animals and homelessness. Her unparalleled wisdom, that only a brilliant and repeatedly successful entrepreneur can offer, has attracted atcrack team to break down the most daunting of barriers. To rewire the way we think about energy. To turn what we’re doing into what we should be doing. Her latest passion, Imaginea, is to create a new kind of energy company that values all three of Planet and People and Profits, equally. Essentially, to discover a better way of developing our resources and creating “AND” solutions and new possibilities to transform the energy industry into a force for good. Her truly laudable career has crystallized into an epiphany ‐ that profits are not the nemesis of this planet and the people on it. That oil doesn’t have to be a dirty word. That change can happen, and it will happen because it’s the smart thing to do. Dr. Zahavich is the Vice President of Corporate Development and Applied Research at SAIT Polytechnic. He has responsibility for all of SAIT’s international activity, including international projects, international students and SAIT’s Global Strategy. He oversees SAIT’s, corporate training, continuing- and distance-learning, and the industry-based Applied Research and Innovation Services (ARIS). As the founding director of ARIS, the department became the number one ranked college in Canada for applied research in 2013. He also served as Dean of the School of Manufacturing and Automation, and MacPhail School of Energy. Alex was an instructor of Mathematics, Statistics and Quality Management at Mohawk College, where he also founded the Technology Transfer Institute. In industry, Alex was the Vice President of Production and Product Development at Uniplast Films Canada and worked for Dow Chemical Canada Inc. in polyethylene product development. He has a PhD in Mechanical Engineering (Plastics Recycling) from McMaster University, and is a member of The Association of Professional Engineers and Geoscientists of Alberta, the Advisory Board for Partners in Research, the Board of Directors for Bobsleigh Canada Skeleton (BCS), the Materials Commission of the International Bobsleigh and Skeleton Federation (IBSF) and the Board of Directors for Innovate Calgary. Dan Zilnik is the President of Oil and Gas Sustainability (O&G). Dan has over a 15 years of background working with corporate and government leaders to make distinctive, lasting, and substantial improvements in sustainability performance, changes in performance that strengthen the entire business. His current clients are predominantly oil and gas companies, oil and gas industry collaborations and financial institutions who are trying to strengthen the links between operational and financial excellence and sustainability leadership. He has extensive background on environmental strategy, environmental economics, regulatory compliance, and long term, meaningful stakeholder engagement. Dan is dedicated to collaboration for dealing with some of the environment and social challenges in the energy landscape. His collaborations include being a steering committee member of the Oil Sands Leadership Initiative (OSLI) and the Integrated CO2 Network (ICO2N). Dan is Harvard Law School certified negotiator and holds an MSc from the London School of Economics. Oil and Gas Sustainability Ltd works with oil and gas companies, governments, packaged food companies and integrated forest product companies to make distinctive, lasting, and substantial improvements in sustainability performance, changes in performance that strengthen the entire business. O&G’s current clients are predominantly oil and gas companies, oil and gas industry collaborations and financial institutions who are trying to strengthen the links between operational and financial excellence and sustainability leadership. The Honourable Pierre Arcand is Québec’s Minister of Energy and Natural Resources, Minister responsible for the Plan Nord, and Minister responsible for the Côte-Nord region. Minister Arcand started his career as a radio journalist, and in the early 2000s he was appointed president of Corus Québec. In 2007 he was elected Member of Parliament. He also served as Minister of International Relations, Minister responsible for La Francophonie, and Minister of Sustainable Development, the Environment and Parks. The mission of the Québec Ministry of Energy and Natural Resources is to manage and support the development of energy and mineral resources within the territory of Québec within the framework of sustainable development. The Ministry relies on advanced knowledge and the development of valuable scientific data for the coherent and responsible resource development that contributes to Québec’s economic growth. Tony Balasubramanian is a Partner at MNP. Mr Balasubramanian has over 25 years experience in the technology industry. He began his consulting career after a 17-year career that spanned many aspects of IT including programming, project management, IT systems design and development, IT systems selection and implementation, business process engineering, design and review, payroll and human resources, as well as operational, business, and corporate leadership roles. He regularly speaks to audiences on technology innovation and the use of technology to advance or improve business performance. MNP is a leading supplier of financial, consulting, and management services to the oilfield services industry and has regional offices in all major producing areas of the Western Canadian Sedimentary Basin. Chris Bloomer is President & CEO for CEPA. Mr Bloomer previously held senior positions with Shell Canada, Castle Energy, Talon Resources Ltd., Petrobank Energy & Resources, and Connacher Oil and Gas Ltd. He holds a degree in Geoscience from the University of Toronto. The Canadian Energy Pipeline Association (CEPA) represents Canada’s transmission pipeline companies who operate approximately 118,000 kilometres of pipeline in Canada. CEPA members transport 97% of Canada’s daily crude oil and natural gas from producing regions to markets throughout North America. Pat Carlson is CEO of Seven Generations Energy. Mr Carlson has 40 years of diverse experience in the oil and gas industry. He previously founded successful, private, junior energy companies, including North American Oil Sands Corporation, Krang Energy Inc., and Passage Energy Inc. Mr Carlson currently serves on the Schulich Industry Advisory Council for the Schulich School of Engineering. He holds a BSc in Chemical Engineering from the University of Calgary. Seven Generations Energy Ltd. is an independent petroleum company focused on the acquisition, development and value optimization of high quality tight and shale hydrocarbon resource plays. Presently, the Company has a single focus area, the Kakwa River Project in northwest Alberta. Michael Christopher is CIO for ARM Energy. Prior to joining ARM, Mr Christopher spent nearly 13 years at ArcLight Capital Partners, an energy-focused private equity firm, where he originated and structured transactions in the midstream, power, and upstream sectors. Mr Christopher began his career in Citigroup’s Global Energy and Power Group, where he provided M&A and capital markets advice to public and private energy companies. He holds a Bachelor of Science in Commerce from the University of Virginia. ARM Energy takes a dynamic approach to risk management by implementing strategies that not only provide protection, but also the ability to adjust and enhance hedge positions by taking advantage of market vacillations. ARM Energy has been helping oil and gas producers make hedging decisions since 2004. James Cleland is the Global General Manager of the Heavy Oil Solutions group in GE Power and Water. Prior to joining GE in 2011, James spent seven years working in economic development for the province of Alberta. As Executive Director of the Alberta Economic Development Authority, he worked with industry leaders to provide business advice to the Premier and Cabinet. He also worked with oilsands producers and suppliers on cost overrun challenges, as well as international investment opportunities in the oilsands. GE’s Canadian presence spans from coast to coast with all of its core businesses, services, and technologies including wind turbines, aircraft engines, heavy oil and water treatment, medical imaging, locomotive, and financial services. GE is a major supplier to companies in Canada’s oil industry. Avik Dey is Managing Director, Head of Natural Resources for CPPIB. Previously, Mr Dey was President & CEO of Remvest Energy Partners and Founder and Chief Financial Officer of Remora Energy. He also worked with a number of organizations including First Reserve, Deutsche Bank, and EnCana Corporation. Mr Dey serves on the boards for Teine Energy, Enactus Canada, and the Young Professionals in Energy organization. He holds a Bachelor of Commerce in Finance from the University of Calgary. The Canada Pension Plan Investment Board (CPPIB) is a professional investment management organization that invests the assets of the Canada Pension Plan. CPPIB invests in public equities, private equities, real estate, infrastructure, and fixed income instruments. Blaine Favel is the 14th Chancellor of the University of Saskatchewan. Mr Favel served as Chief of Poundmaker Cree Nation and as Grand Chief of the Federation of Saskatchewan Indian Nations. He was also a senior diplomat at the Canadian Department of Foreign Affairs and International Trade Counsellor on International Indigenous Issues. He served as a special advisor to the Assembly of First Nations National Chief. He holds a law degree from Queen’s University and an MBA from the Harvard Graduate School of Business. The University of Saskatchewan was founded in 1907 and is the largest educational institution in the province of Saskatchewan. Providing undergraduate and graduate programmes, it is home to 13 interdisciplinary colleges, 3 graduate schools, and 6 affiliated or federated colleges. John Gorman is Halliburton’s Area Vice President – Canada. Mr Gorman joined Halliburton as an Offshore LWD engineer and has held the positions of Service Coordinator and Region Business Development Manager. Prior to joining Halliburton, he was a geologist for Canadian Hunter. Mr Gorman is a member of the Society of Petroleum Engineers and is the past Chair for the Canadian Oilmen’s Executive Association and PSAC. He holds a degree in geology from University of Saskatchewan. Halliburton serves the upstream oil and gas industry with 13 product service lines (PSLs) that operate in two divisions: Drilling and Evaluation, and Completion and Production. The Consulting and Project Management PSL works across both divisions, spearheading Halliburton’s integrated-services strategy. Neville Jugnauth is a Partner at Torys LLP. He practises corporate and securities law with a focus on private equity, corporate finance and M&A transactions. He has practised both in Canada and the United States and has significant experience advising with respect to private equity investments, public offerings, M&A and joint venture transactions in the upstream and midstream sectors of Canada’s oil and gas industry. Mr Jugnauth also regularly advises clients with respect to securities law and stock exchange compliance issues, and corporate governance matters. Torys LLP was founded in 1941 and is a respected international business law firm with a reputation for quality, innovation and teamwork. The firm has participated in some of its clients’ largest and most complex transactions. It has offices in Toronto, New York, Calgary, Montreal, and Halifax. Glenn Kalyniuk is Managing Director, Energy for ATB Corporate Financial Services. He leads a team of twelve with an E&P portfolio of approximately $5 billion in commitments and $2.5 billion in deposits. He has been in the Alberta banking industry for over 28 years, having spent the past 19 years specializing in the Oil & Gas sector, based in Calgary. Prior to joining ATB in January 2014, he worked in Energy Banking in a variety of roles with Canadian Schedule 1 banks. He received a bachelor of Business Administration from the University of Regina, and is a Fellow of the Institute of Canadian Bankers. ATB Corporate Financial Services, a division of ATB Financial, is a full service financial institution serving the needs of mid- and senior-market businesses with operations in the province of Alberta. Offering a wide range of business solutions from credit, deposit, cash management, financial markets, syndications and newly formed advisory services group, It is focused on the sectors that drive Alberta’s economy such as energy, real estate, construction and food & forestry. Gordon Lambert is the Chair of the Board for CMC Research Institutes. Mr Lambert retired from Suncor Energy in 2015, where he last served as Executive Advisor Sustainability and Innovation and served as the Suncor representative for COSIA. He is currently the Suncor Sustainability Executive in Residence at the Ivey School of Business and has established GRL Collaboration for Sustainability as a consulting practice. Mr Lambert was a recent member of the Alberta Climate Advisory Panel to the Environment Minister and the Premier. He holds a BS degree from University of Guelph and completed the Ivey Executive Program. Carbon Management Canada Research Institutes is an independent not-for-profit business with the mission of accelerating innovation to eliminate industrial greenhouse emissions. Its clients include industry, government, academic and non-academic researchers, technology developers and vendors, and end users. President & CEO Questor Technology Audrey Mascarenhas, P. Eng is the President and CEO of Questor Technology Inc. Audrey joined Questor in 1999. Prior to this, she worked in the oil and gas industry during a 17-year tenure with Gulf Canada Resources Ltd., presently Conoco-Phillips. She is a graduate of the University of Toronto in Chemical Engineering and holds a Masters Degree in Petroleum Engineering from the University of Calgary. Questor Technology is an international environmental oilfield service company headquartered in Calgary, Alberta with a field office in Grande Prairie, Alberta. Questor manufactures and services high efficiency waste gas incinerator systems, provides combustion and burner-related oilfield services as well as power generation systems. Its proprietary incinerator technology is utilized worldwide in the effective management of H2S, VOCs and BTEX gases ensuring sustainable development, community acceptance and regulatory compliance. Margaret McCuaig-Boyd represents the northern Alberta riding of Dunvegan-Central Peace-Notley. A long-time resident of the Peace Country, she was appointed Minister of Energy by Premier Notley in May 2015. Before being elected to public office, she was a teacher and administrator with the Peace River School Division for more than 20 years. She left public education to take an executive position as vice president at the Fairview Campus of Grande Prairie Regional College. Mrs McCuaig-Boyd left the college in June 2013 to start a consulting company to support small- and medium-sized businesses. She graduated from the University of Alberta with a Bachelor’s Degree in education, and holds a Master’s Degree in administration and leadership from San Diego State University. Tim McMillan is President & CEO of the Canadian Association of Petroleum Producers. Mr McMillan started his career as an IT professional and as founder of an oilfi eld services company. In 2007, he was elected as a Saskatchewan Party MLA. Mr McMillan held strategic cabinet portfolios in the Government of Saskatchewan, including Minister of Energy and Resources and Minister of Rural Health. He holds a degree in economics from the University of Victoria. The Canadian Association of Petroleum Producers’ (CAPP) vision is to enhance Canada’s prosperity by enabling responsible growth of the country’s upstream oil and gas industry. CAPP’s mission is to advocate for and enable economic competitiveness and safe, environmentally, and socially responsible performance. CAPP represents companies that explore for, develop, and produce natural gas and crude oil throughout Canada. CAPP’s member companies produce about 90% of Canada’s natural gas and crude oil. Lance Mortlock is a Partner with EY, leading the national Strategy practice in Canada. Mr Mortlock has worked work with leading global and local national and international energy (oil & gas) and utility companies as well as energy regulators, LNG, oil field service and pipeline companies. He is also a guest lecturer and Executive Research Fellow at the University of Calgary Haskayne School of Business. Mr Mortlock holds an undergraduate degree from Exeter University and an MBA from Cardiff Business School. EY is a global leader in auditing, tax, transaction, consulting, and corporate finance services. EY’s Global Oil & Gas practice consists of a network of more than 9,200 professionals with extensive assurance, tax, transactions, and advisory experience in the oil and gas industry. Marie-José Nadeau is Chair of the World Energy Council. Ms Nadeau sits on UN Secretary-General Ban Ki-moon’s Advisory Board on Sustainable Energy for All, the Advisory Council of UNDESA and China Energy Fund Committee, the Advisory Council for the WiSER Program (UAE), and on the selection committee of Sheik Zayed’s Energy Prize (UAE). She is also a Director on the Boards of ENGIE and METRO Inc. She previously served as a Senior Policy Advisor and Chief of Staff to the Ministers of Energy and Environment of the Government of Quebec. In 1993, she joined Hydro Quebec, Canada’s largest electric utility, where she was Secretary General and Executive Vice President for Corporate Affairs until her retirement in 2015. Ms Nadeau holds law degrees from Ottawa University. The World Energy Council is the UN-accredited global energy body, representing the entire energy spectrum, bringing together more than 3000 member organizations located in close to 100 national committees. It promotes an affordable, stable, and environmentally sensitive energy system for the greatest benefit of all. Michele Robitaille is Managing Director, Canadian Equity for Guardian Capital LP. Ms Robitaille joined GCLP in 2003 as a Portfolio Manager within the Canadian equity team. Prior to joining Guardian, she worked as an Equity Research Analyst for Scotia Capital Inc. and National Bank Financial. She also worked at Price Waterhouse LP in both the Audit and Business Services and Financial Advisory Services groups. She holds a Bachelor of Commerce from University of British Columbia. Guardian Capital LP offers investment management expertise in balanced, domestic and global equity, fixed-income, and real estate portfolios. It executes investment strategies on behalf of pension plans, insurers, foundations, endowments, family offices, and mutual funds worldwide. John Soini is President of Energy East and has overall responsibility for the 4,600 km Energy East Pipeline Project, which will connect receipt points in Alberta and Saskatchewan to provide Western Canadian crude oil access to refineries in Eastern Canada and to export markets. Mr. Soini has been with TransCanada for over 18 years in various roles, most recently, as Vice President of Project Management of the Energy East Pipeline Project. Prior to that, John led the development and safe installation of all facilities and pipeline infrastructure projects within TransCanada’s Natural Gas and Power Divisions in Canada and the United States. Prior to this, Mr. Soini was the Vice President of the Bruce A Restart Project for Bruce Power where he had accountability for the refurbishment of two nuclear power plants totaling 1,500 MW. John also holds a Masters Degree in Business Administration, with distinction, from the Haskayne School of Business. He is a Mechanical Engineering Technologist and a Fourth Class Power Engineer. With more than 65 years’ experience, TransCanada is a leader in the responsible development and reliable operation of North American energy infrastructure including natural gas and liquids pipelines, power generation and gas storage facilities. TransCanada operates a network of natural gas pipelines that extends more than 68,000 kilometres (42,100 miles), tapping into virtually all major gas supply basins in North America. TransCanada is one of the continent’s largest providers of gas storage and related services with more than 368 billion cubic feet of storage capacity. A growing independent power producer, TransCanada owns or has interests in over 10,900 megawatts of power generation in Canada and the United States. TransCanada is developing one of North America’s largest liquids delivery systems. 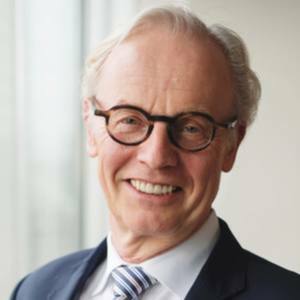 Dr Harrie Vredenburg is Professor of Strategy at the University of Calgary’s Haskayne School of Business and is the Suncor Energy Chair in Strategy and Sustainability. He is Academic Director of Haskayne’s Global Energy Executive MBA. He also holds an appointment as an International Research Fellow at Oxford University’s Saïd Business School in the UK. He has published more than 50 articles in management journals including in Strategic Management Journal, Organization Science, Harvard Business Review and MIT Sloan Management Review. He advises business and government and serves on the boards of directors of several publicly-traded and private international energy companies. The Haskayne School of Business at the University of Calgary offers bachelor, master, doctorate, and executive education programmes. It is home to major research centres devoted to educating leaders and advancing business practices in leadership, entrepreneurship and innovation, real estate, and energy. Ed Whittingham is the Executive Director of the Pembina Institute. Mr Whittingham previously served the Director for the institute’s consulting programme, where he led projects around sustainable energy production and consumption. He is also a faculty member of Leadership Development at The Banff Centre, and an advisory council member of the Network for Business Sustainability, the Centre of Excellence in Responsible Business, and the WEF’s Global Agenda Council on the Future of Oil and Gas. The Pembina Institute is Canada’s leading energy and environment research organization. The Pembina Institute aims to advance clean energy solutions through research, advocacy and consulting. This institute operates with a staff of 40 professionals in five offices across Canada. Deborah Yedlin is a Business Columnist for the Calgary Herald. Ms Yedlin began her career working in New York for Goldman Sachs. Upon completing her MBA in Finance, she continued working in corporate finance in Toronto and Calgary. Ms Yedlin entered business journalism in 1996, holding positions with the Financial Post and the Globe and Mail. She is also a weekly business commentator for CBC radio. Ms Yedlin holds an undergraduate degree from the University of Alberta and an MBA from Queen’s University. The Calgary Herald’s news content reaches an audience of half-a-million Calgary residents through 4 different platforms. In 2012, The Calgary Herald won 2 national awards from Newspapers Canada “Great Ideas” competition, as well as 2 awards from the International Newsmedia Marketing Association. It is part of the Postmedia Network. Michael Crothers was appointed the Shell Canada Country Chair on January 1, 2016. Michael holds this role in addition to his role as Executive Vice President, Oil Sands. Michael returned to Canada in January 2015 as Vice President, Unconventionals North America after spending 4 years as the Managing Director of Shell E&P Ireland (2011 – 2014) and led the Corrib gas venture. With more than 30 years of experience, Michael has led teams across Shell’s upstream and downstream businesses and his assignments have taken him to over 30 countries throughout Asia, Europe, Africa and North and South America. Michael graduated in 1984 as a Chemical Engineer with distinction from University of Alberta. Michael and his wife Cheryl have three children – twin girls and a son. When he’s not on an airplane, Michael enjoys cycling the hills in NW Calgary or do-it-yourself jobs around the house. Ginny Flood joined Suncor Energy Inc. on March 16, 2015 as Vice President, Government Relations. In this role, Ms. Flood provides leadership to further Suncor’s strategy by supporting the organization at all levels of government. Prior to joining Suncor, Ms. Flood was the Vice President Canada for Rio Tinto. In this role, she was the country head for Rio Tinto Canada and was responsible to provide strategic leadership for Rio Tinto’s businesses in Canada on national and global matters. This included aligning the operations and operating at the centre of a pan-Canadian network of relationship development and advocacy to advance the interests of Rio Tinto’s current and future investments in Canada. In this role, Ms. Flood worked closely with governments, shareholders, Aboriginal and other stakeholders. Prior to joining Rio Tinto, Ms. Flood held various senior roles within the Canadian Federal Government in areas involving resource development, including participating as Government of Canada representative on various international and government to government working groups (i.e. China, Russia, Africa, etc.) related to the minerals and metals sector. Ms. Flood is on the Executive and the Board of Directors for the Canadian Chamber of Commerce and chairs the Board’s International Strategic Advisory Committee. As well, Ms. Flood is on the Board of Directors for the Canadian Manufacturing and Exporters and the China Alberta Petroleum Centre (CAPC). Prior to joining Suncor, Ms. Flood was an active member of the Mining Association of Canada and the Canadian Institute for Mining, Metallurgy and Petroleum (CIM). Ms. Flood previously served as Rio Tinto’s representative on the Turquoise Hill Resources Board of Directors from May 2013 to May 2014. Ms. Flood resides in Calgary with her husband Brian. She has a Queen’s University Executive MBA and studied Business Administration at the University of Prince Edward Island. 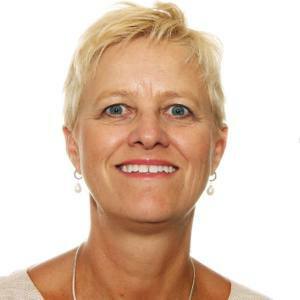 Connie van der Byl is the Director of Mount Royal University’s Institute for Environmental Sustainability and an Assistant Professor of Organization Theory at the Bissett School of Business, teaching courses in business strategy, corporate social responsibility and environmental management. She is also an adjunct assistant professor at the Haskayne School of Business, University of Calgary where she obtained a PhD in Energy Management and Sustainable Development as well as an MBA that was completed while working in various business roles with TransCanada Pipelines. Dr. Van der Byl’s research interests focus on energy organizations and their response to sustainability issues. 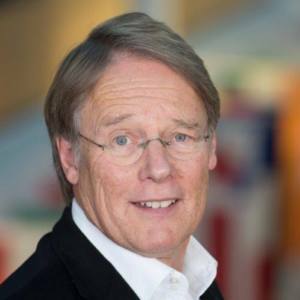 Wal van Lierop is an energy technology veteran with unique industry insight gained through deep operational experience as a venture capitalist, corporate executive, top international consultant and university professor. Since co-founding Chrysalix in 2001, Wal has sourced, invested in and advised numerous startups building innovative solutions for the new world economy – often while working hand-in-hand with large multinational companies on their innovation strategies. Wal is a specialist in maximizing returns from bringing innovative solutions to large industries that are in transition. Prior to founding Chrysalix, Wal spent six years as the Vice President of Strategic Planning at Westcoast Energy (at the time one of the largest Canadian energy companies) with a strong focus on innovation and venturing. He also advised energy, chemicals and financial services blue chip companies on innovation and change management while working for more than seven years with McKinsey & Company. With a long-standing passion for industrial innovation and sustainability, Wal has founded or co-founded several new ventures and clean energy organizations including New Ventures BC and SET Ventures in the Netherlands as part of the Chrysalix Global Network, which he assisted GRC from China in joining as well. Wal holds a PhD in Economics from the Vrije Universiteit in Amsterdam and has completed executive training in Change Management from MIT. 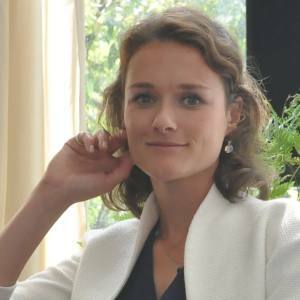 Esmée van Veen, born in Amsterdam, joined KLM as Sustainability Manager within the CSR & Environmental Strategy team in 2017. With a strong interest in environmental topics, she studied for a BSc in Future Planet Studies at the University of Amsterdam while she gained work experience at a sustainability consulting firm and as vice-president of the global student organisation AIESEC. After a work placement at Accenture, she packed her bags to study for a MSc in Environmental Technology at Imperial College London where she specialised in pollution management and in technological innovation and sustainability. Currently, she is supporting KLM in achieving its ambitious sustainability goals and in remaining the most innovative airline regarding energy use and waste reductions. Dr. Vredenburg is a leading scholar in the areas of competitive strategy, innovation, sustainable development and corporate governance in the global energy and natural resource industries and serves as the Suncor Energy Chair in Competitive Strategy and Sustainable Development. He was one of the visionaries who founded Haskayne’s Global Energy Executive MBA and has served as its Academic Director since its inception. He has authored or coauthored more than 50 frequently cited articles in leading international publications including Strategic Management Journal, Organization Science, MIT Sloan Management Review and Harvard Business Review. He has also coauthored government reports on industry regulation, innovation and competitiveness and on nuclear energy and he consults to industry. He has served on the Alberta Environmental Appeals Board, a quasi-judicial appeals board, and has testified before the Federal Senate Finance Committee and the Federal Senate Energy, Environment and Natural Resources Committee on energy matters. He was the founding director from 1994 to 2007 of Haskayne’s International Resource Industries and Sustainability Centre (now part of the Centre for Corporate Sustainability), co-founder and academic director of the Master of Science Program in Sustainable Energy Development from 1994 to 2006, and inspired the launch of Haskayne’s MBA concentration in Global Energy Management and Sustainable Development. Since 2000 he has played a key role in the planning and delivery of the prestigious Global Business Forum in Banff. He is a non-executive member of the board of directors of Touchstone Exploration (TSX: TXP), a technology-driven oil and gas company with operations in Canada and in Trinidad and Tobago, of Kainji International, a privately-held Nigerian-focused oil and gas company, and of Teric Power, a privately held independent power producer with operations in Canada. He previously served for eight years on the board of directors of TSX-listed Petrobank, a mid-cap oil and gas company with operations in Canada, Colombia, Peru and Brazil. He also serves as a director of several non-profits. Harrie holds an appointment as an International Research Fellow at Oxford University’s Saïd Business School in the UK. He previously taught at McGill University and was a visiting professor at the Rotterdam School of Management at Erasmus University and at the University of British Columbia. He holds a PhD in strategic management from the University of Western Ontario.